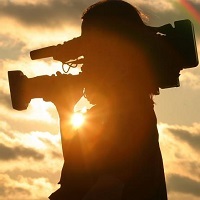 Media and Entertainment is one of the most flourishing industries in India. The industry opens a gateway for upcoming talents who are willing to shape their career in this field. In order to provide the most competent manpower solutions to the clients, we have maintained a rich database of candidates. With our experience and expertise, we are capable of understanding the exact requirements of the recruiting companies and serve them in the best possible manner. Moreover, we have successfully placed some of the best talents with leading companies in this industry.